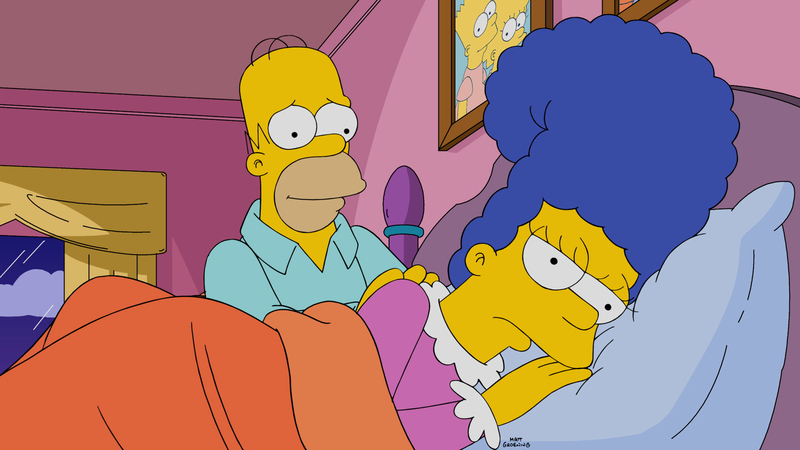 Jay Leno provides the guest voice of himself in tonight’s new episode of The Simpsons on FOX. You can find some preview images below. The Simpsons voice cast includes Dan Castellaneta as Homer Simpson, Julie Kavner as Marge Simpson, Nancy Cartwright as Bart Simpson and Nelson, Yeardley Smith as Lisa Simpson, Hank Azaria as Moe, Harry Shearer as Skinner, Tress MacNeille as Dolph, and Pamela Hayden as Milhouse.